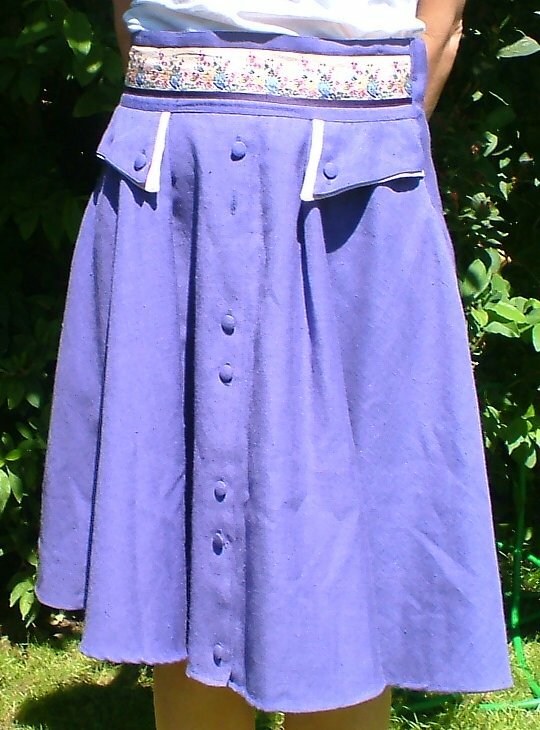 Vintage 50s heavy linen skirt. 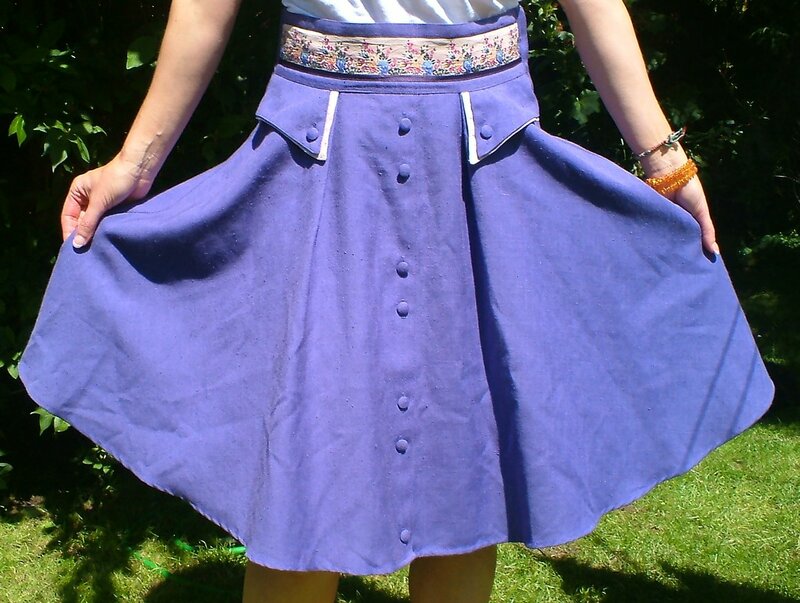 This skirt dates from the very late 50s or early 60s, and it is the sweetest thing! 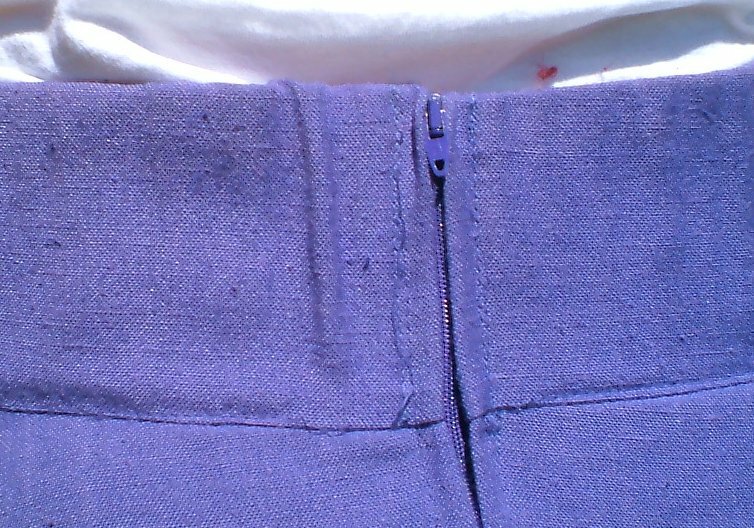 It's very full, made from heavy purple linen, with all sorts of extra detailing. 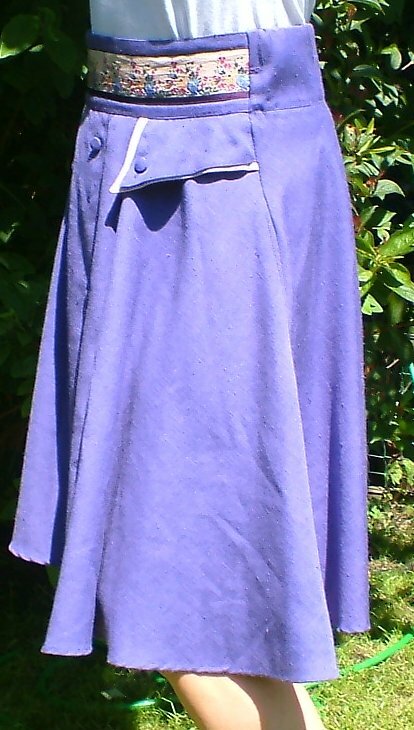 It's difficult to imagine anyone going to so much trouble today. 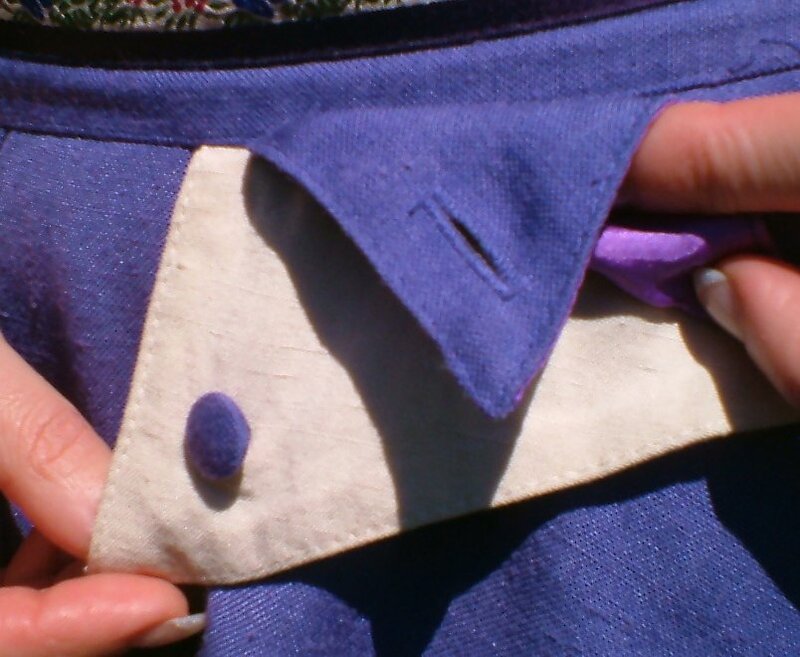 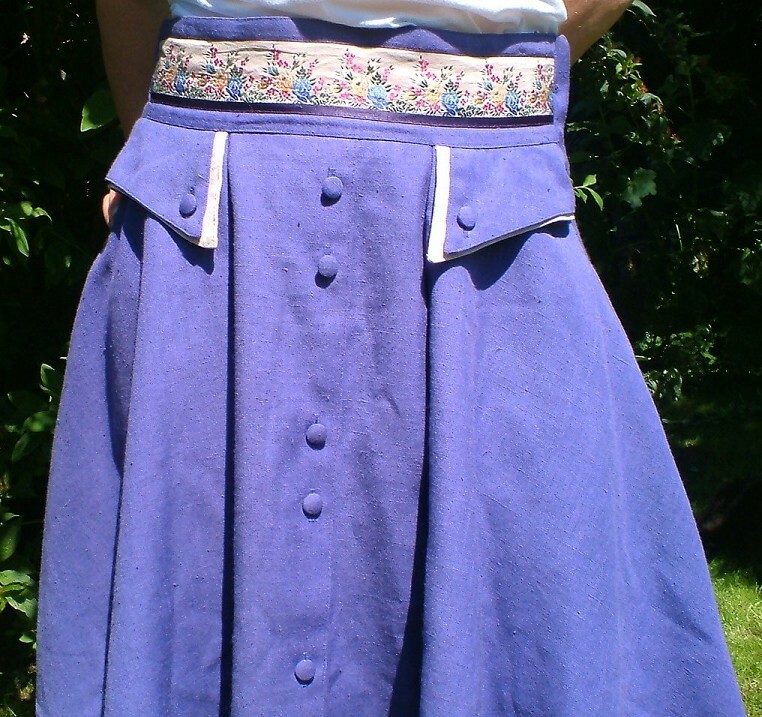 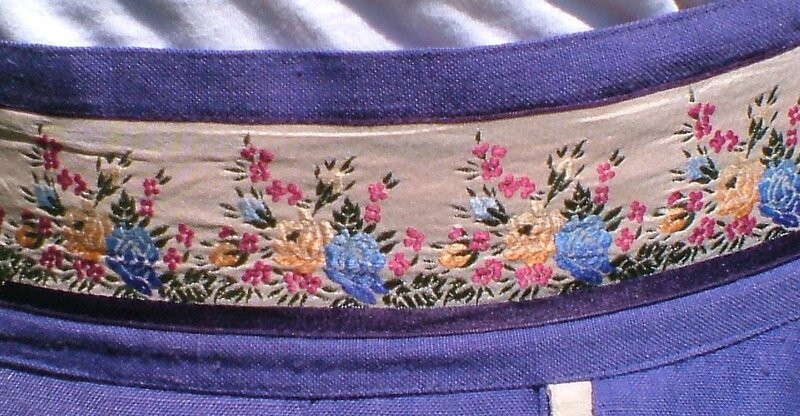 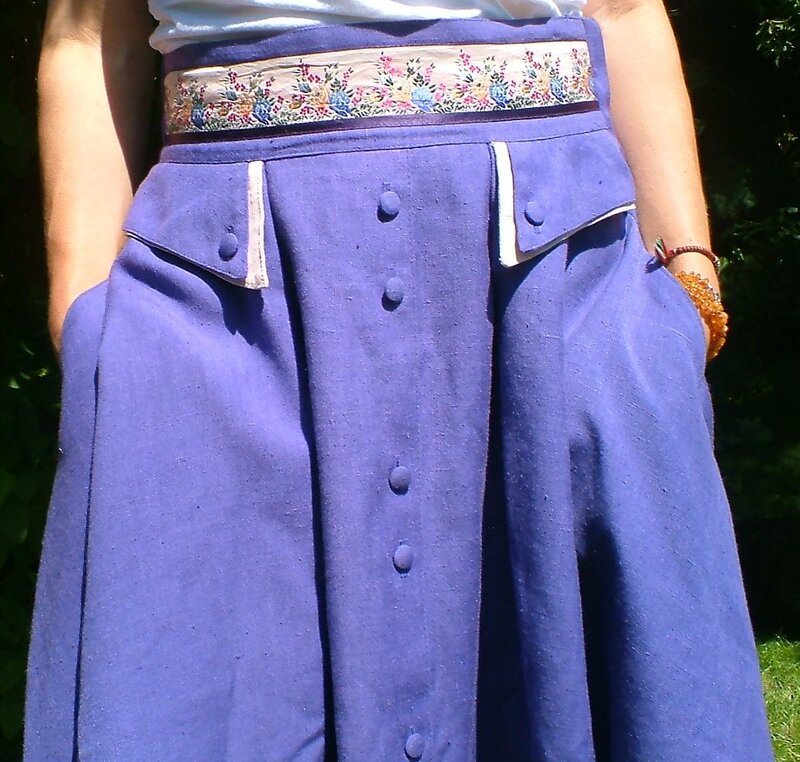 At either side of the waist, two buttoned flaps (with contrast edging) appear to be guarding the pockets, but are, in fact, merely decorative; once again, however, there are matching button holes. 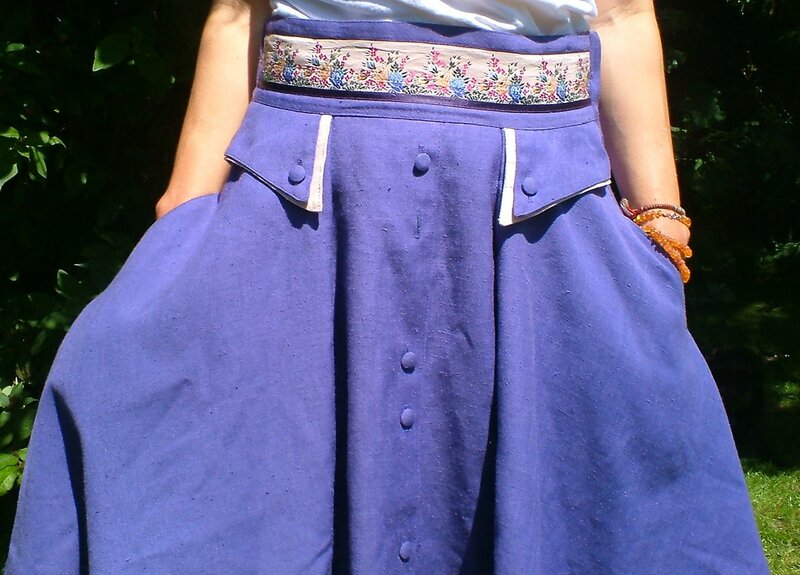 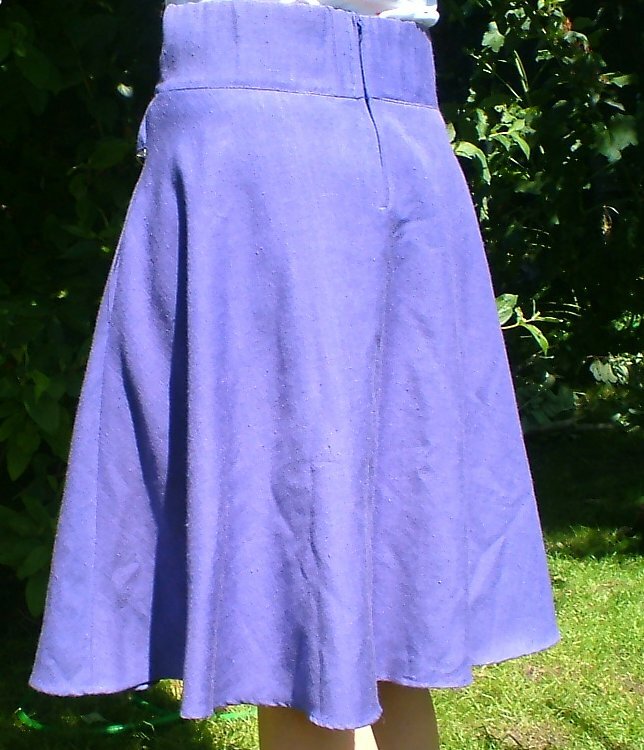 There are two pockets on this skirt - good, deep useful ones - concealed on the side seams. 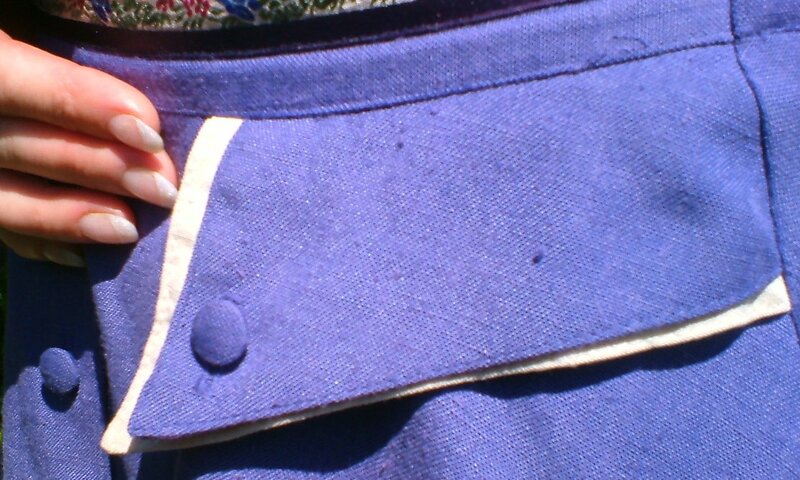 And - the front buttons being purely decorative (unless you want to flash your legs) - it fastens with a zip at the back. 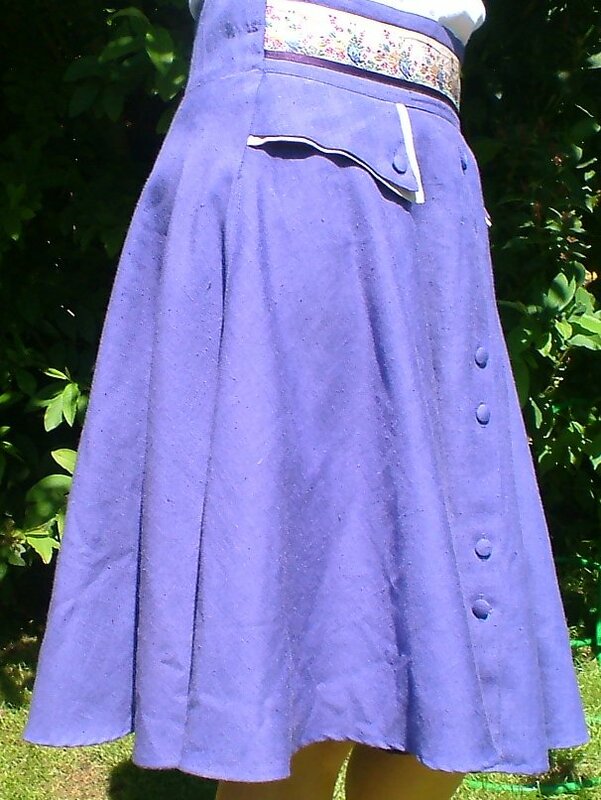 Like most vintage items this skirt would benefit from being dry cleaned, but it has no visible faults. 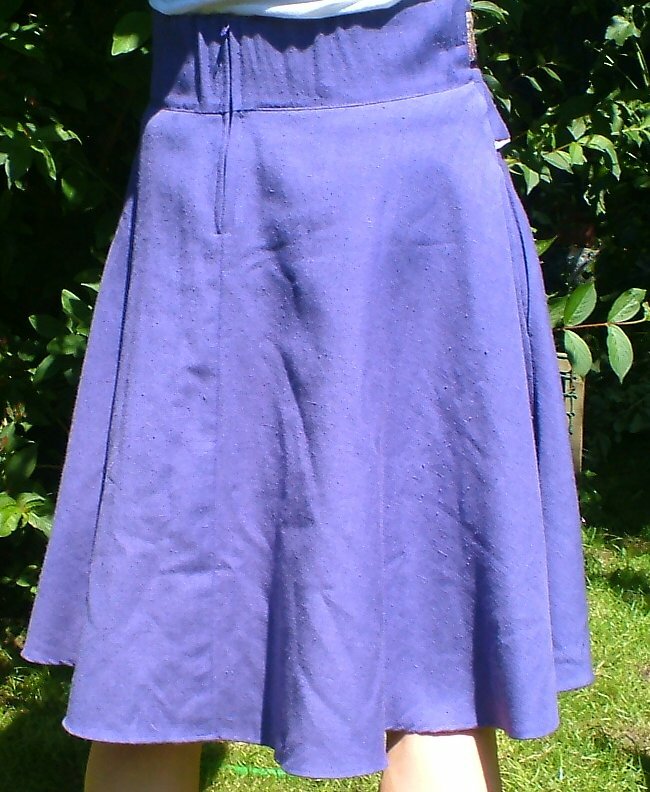 Approximate measuremenst are: waist, 31 ins/79 cms; length from bottom of waistband, 22 ins/ 55.5 cms; circumference of skirt, 116 ins/ 297 cms.